Verdict: 4.5 / 5Blackkklansman tackles the subject matter with ease and is one of Spike Lee's best films to date. While the film is a supposed period piece, the way in which it plays out captures a lot of what is occurring in modern USA. Before going in to watch Spike Lee’s latest film, BlacKkKlansman, many would’ve already read, heard or seen some of the hype and hate directed towards it. It was always going to get people talking, based solely on the subject matter, whether good or bad. Based on a memoir published in 2014 by a former police officer, Ron Stallworth, the first African-American cop to be employed in the Colorado Springs Police Department. Even with such a strange title, this wasn’t enough for Stallworth, who set his sights on doing much more than pushing paper at the department, and in an attempt to show his worth, decided to attempt an outrageous plan to infiltrate the Klu Klux Klan. After being thrust into some mind-numbing job detail at the start of his tenure, Stallworth (John David Washington), complete with 70s-style afro, manages to bump himself up a level, from the evidence room to some ‘real’ police work. Still not satisfied, he impulsively decides to call the Klu Klux Klan offices in an attempt to join the brotherhood. To his surprise, the attempt paid off within minutes, leading him to hatch a plan with his fellow cop, Flip Zimmerman (Adam Driver), to go undercover to infiltrate the local branch of the KKK. Even more surprising was the direct call from the Klan’s Grand Wizard, David Duke (Topher Grace). While this is happening, Stallworth is also in the process of ‘infiltrating’ a black activist group that has also caused some tension between races in the area. These two groups are plotting against one another in some form, sticking to their ideals and reaching a rather volatile state of affairs in the area. It’s always painful going into a period piece about race and war. There is no distancing yourself from it, you know what you were about to get yourself into watching the film. 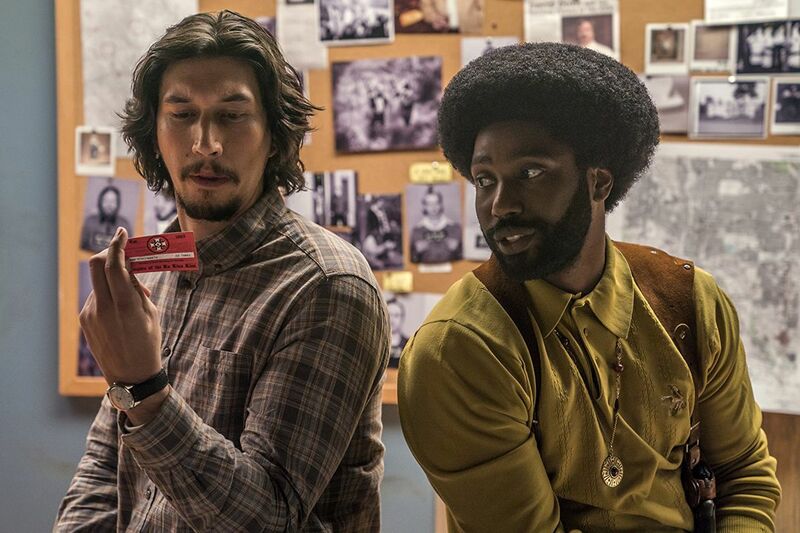 But BlacKkKlansman handles the subject matter with relative ease and insight that made everyone feel comfortable for the most part. This was mostly achieved by means of some light-hearted comedy scattered throughout the film, breaking the tension that has been building up over time. Where the film really stands out is how it entwines a lot of the current racial tension in the U.S. with what occurred in the ’70s, when the events took place. This is mixed between subtle hints at Trump and the White House, as well as a few blatant, yet poignant criticism and mockery of the current state of affairs. Where the film does get quite intense is when it tackles the subject matter of D.W. Griffith’s The Birth of a Nation, a propaganda film with its message that the KKK was the hero in the race wars. There are a few scenes in which it was referenced, and even watched by the brotherhood, and the type of impact it had on supremacists. The film is one of a few stains in Hollywood history, which many have estimated it had potentially better sales than the record holder, Gone With The Wind (when adjusted for inflation), before formal records were kept. The opening of the film sets the stage for what’s to come when a Dr. Kennebrew Beauregard, played by Alec Baldwin, films an opening monologue which is nothing short of racist, with horrible slurs, comments and ideologies about race. BlacKkKlansman also captures the hurt and disgust by Zimmerman as to his undercover role in dealing with the KKK members on a regular basis, often times having to denounce his religion and hatred for blacks. The pain felt by him is somewhat in contrast to Stallworth, as he joins with the activists and even finds a romantic interest in one of the leaders of the group. This goes to point to the fact that it wasn’t all sunshine and roses for all white people at the time, again a juxtaposition of the tensions in the ’70s to what is currently happening today. 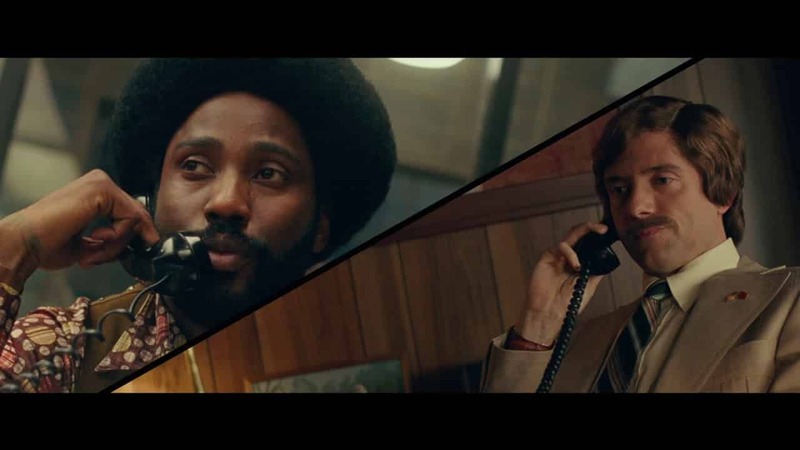 BlacKkKlansman is a beautifully told story of not one, but two cops dealing with racism at the time, and how it can tie directly with modern society. The film actually signs off with footage from some of the recent events from a few marches that occurred in the US in the last year or so, leaving you with a feeling of remorse and anger as to how it has come full circle.